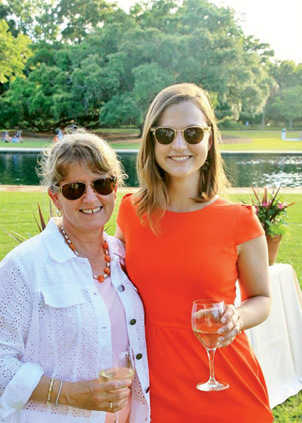 Potent Pathways: Designed in 1906 by Olmsted’s son John Charles, Hampton Park is one of the Messners’ favorite Lowcountry spots. “It just draws you in; the paths invite you to meander and explore, and that’s really the essence of a classic Olmsted design,” says Jenny. 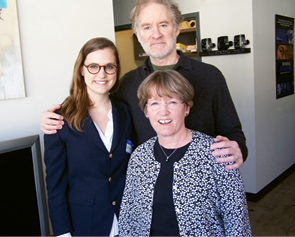 When the couple hosted a free screening of Olmsted and America’s Urban Parks in 2013, it was a homecoming for daughter Rebecca, who wrote and produced the PBS documentary. 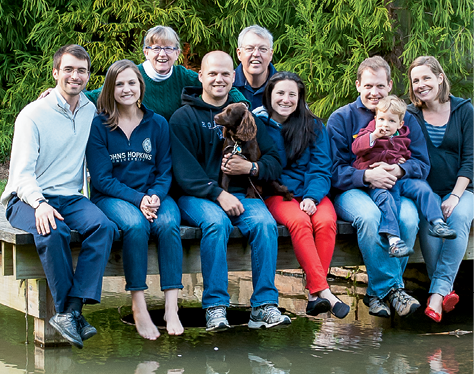 Family Foundation: Now that their three children (George, Robert, and Rebecca) are grown and flown, the Messners prioritize family gatherings at their beloved Pennsylvania stone farmhouse, where Jenny’s grandparents lived, she summered, and her own children returned every summer. 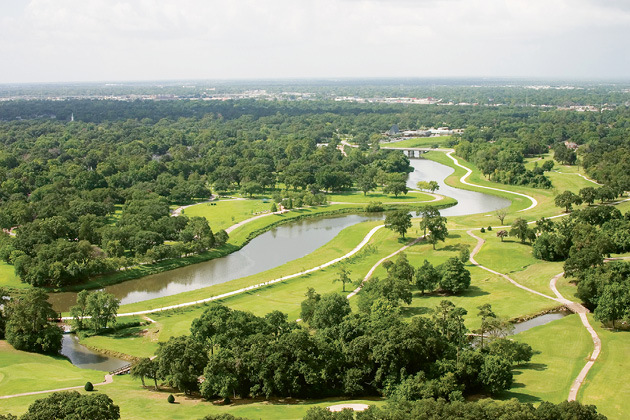 The Brays Bayou Project in Houston aims to link parks and trails along the waterway to improve flood control, economic development, and community quality of life. Unused Norfolk Southern line now: Currently barren and blighted, the abandoned Norfolk Southern rail lines that run beneath I-26 through the heart of downtown will be reclaimed and turned into a multi-use linear park, connecting the Neck and the lower peninsula and adding much needed recreational and bike/pedestrian access through what is now no man’s land. An early rendering of what the Low Line could be: Currently barren and blighted, the abandoned Norfolk Southern rail lines that run beneath I-26 through the heart of downtown will be reclaimed and turned into a multi-use linear park, connecting the Neck and the lower peninsula and adding much needed recreational and bike/pedestrian access through what is now no man’s land. 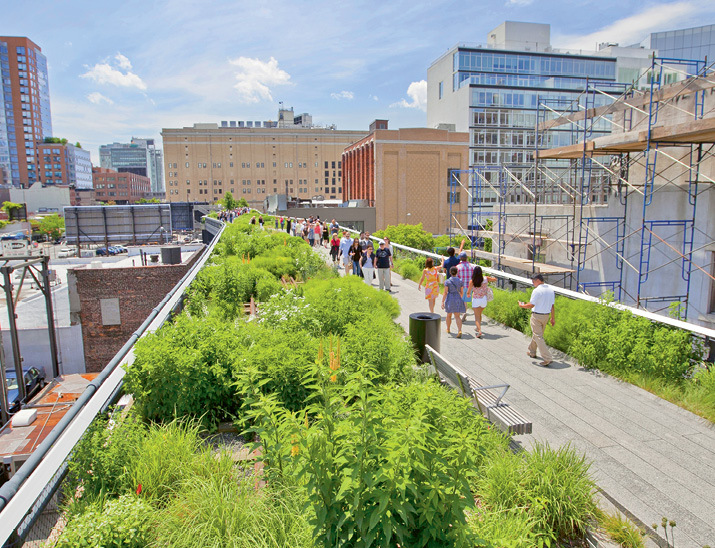 Transformative Tracks: Taking their cues from the incredible success of Manhattan’s High Line, the Friends of the Lowcountry Low Line envision similar urban redevelopment potential, aesthetic enhancement, and heavy recreational use spurred by the nearly two-mile trail. 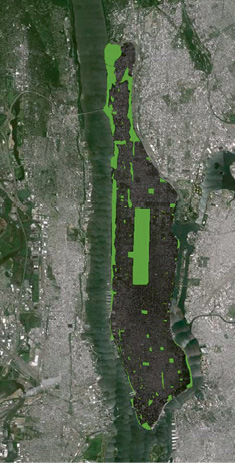 Manhattan: These aerial maps, with parks highlighted in green, demonstrate the difference in dedicated public park space between Manhattan and Charleston. The bustling metropolis has 3.9 square miles of park space or 13 percent of the total area, while Charleston, south of I-526, has less than a half square mile or two percent. 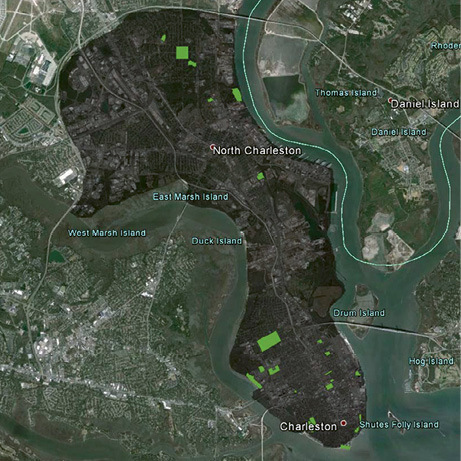 Charleston below I-526: These aerial maps, with parks highlighted in green, demonstrate the difference in dedicated public park space between Manhattan and Charleston. The bustling metropolis has 3.9 square miles of park space or 13 percent of the total area, while Charleston, south of I-526, has less than a half square mile or two percent. 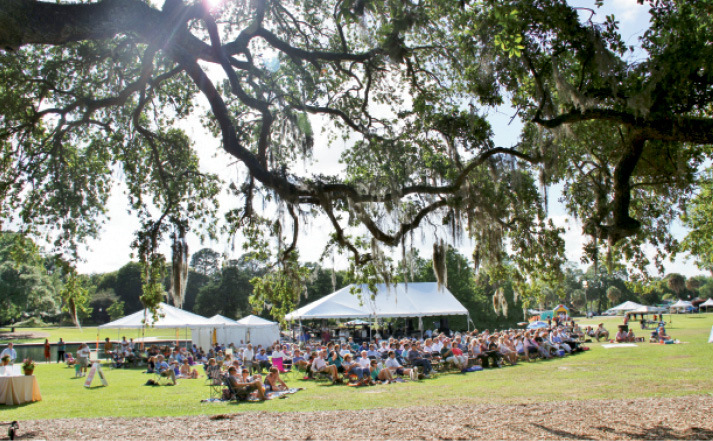 Charting Progress: In addition to their support of local parks, the Messners have helped launch two new public charter schools: Carolina Voyagerand Allegro, which infuses music education throughout its curriculum. 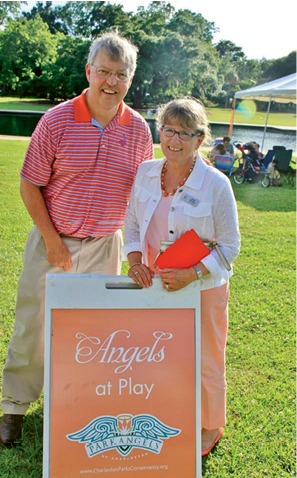 Fresh Connection: Adding free Wi-Fi to the city’s parks is one of many initiatives supported by the Messners’ Speedwell Foundation. The rollout began at parks closest to under-resourced neighborhoods, giving more families Internet access. 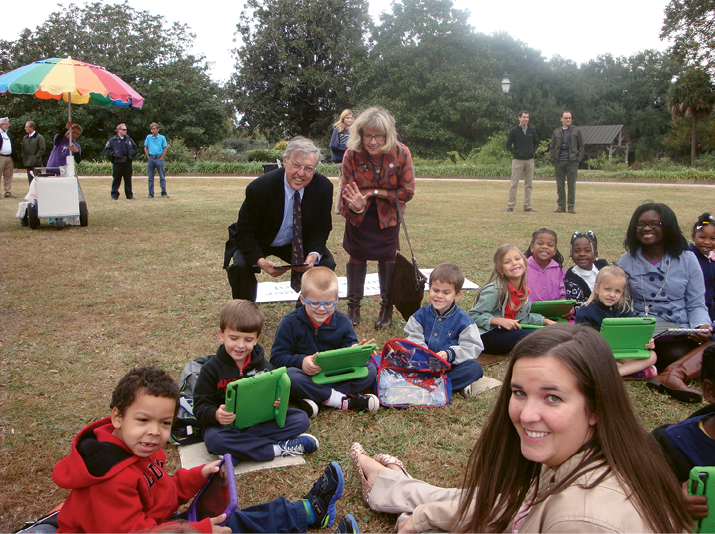 Here, the couple visits with some students from Carolina Voyager Charter School at the Hampton Park wireless connection celebration. It’s a mid-winter afternoon, which on this Thursday in Hampton Park feels like early spring. A mom pushes a jog stroller, pausing as her son watches geese waddle by. A saucer magnolia in full pink glory reaches toward the crisp blue sky. A few Citadel cadets, tees dutifully tucked-in, lope around the fitness trail, while a young couple lounges on a blanket, laptops open. An elderly man hunched over his cane idles past camellias along the sandy path. Some folks rove on foot or bike, others toss Frisbees, walk dogs, picnic. Over the decades, Hampton Park has been many things—a horse racetrack, a Civil War camp for Union prisoners, the site of a grand international exposition—but today, it is whatever these folks need it to be. The same could be said about certain citizens—the ones who go about contributing to the community in impactful yet subtle ways. They have no desire to call attention to themselves, or say, be the focus of a magazine profile, but they have a full and clear intention of making a difference in lasting ways that matter to them and to the city. And maybe that’s why Jenny and Michael Messner are such big Olmsted fans. They approach civic engagement and philanthropy in much the same way the legendary Olmsted firm designed parks. 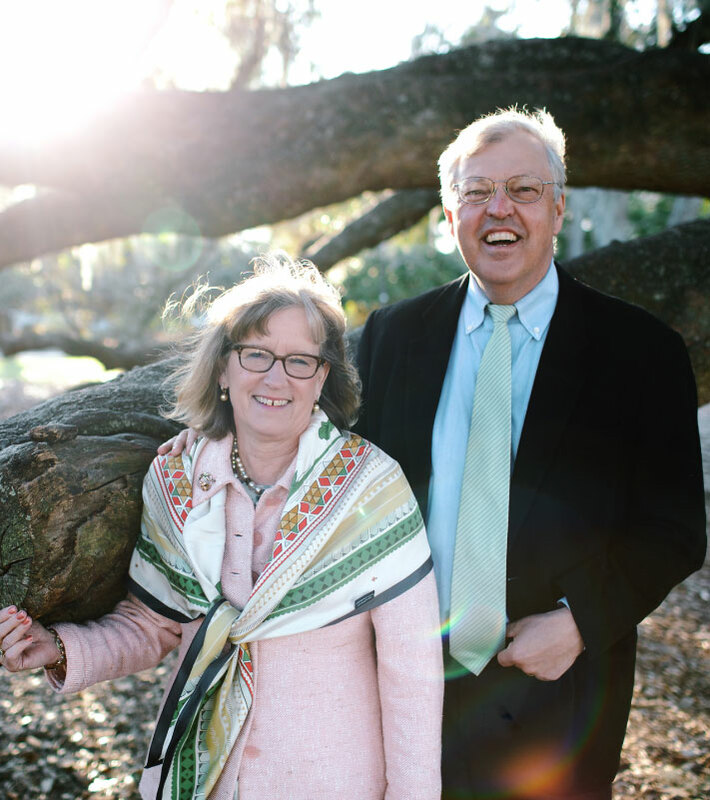 The Messners take a vision for beauty, for enhancing common life by connecting people with nature and with each other—such as the Lowcountry Low Line, a proposed revitalization of 1.6 miles of defunct and derelict rail lines cutting through the peninsula—and strategically plant it. Add water, maybe a little mulch, and mix in lots of resources and attention and hard work, and things start to grow. The Messners moved to Charleston four years ago after raising their three children in Summit, New Jersey. “We finally realized that, with the kids gone, we couldn’t possibly shovel all that snow,” says Jenny, who grew up in the pastoral Amish country of Pennsylvania’s Lancaster County. (The Messners still own and frequently visit her grandfather’s beloved circa-1760 stone farmhouse that was once part of a large farm estate near Speedwell Forge.) Michael, an Atlanta native, played football at the University of Pennsylvania, where he and Jenny met, and went on to study civil engineering at Georgia Tech before eventually segueing into the Wall Street investment world. 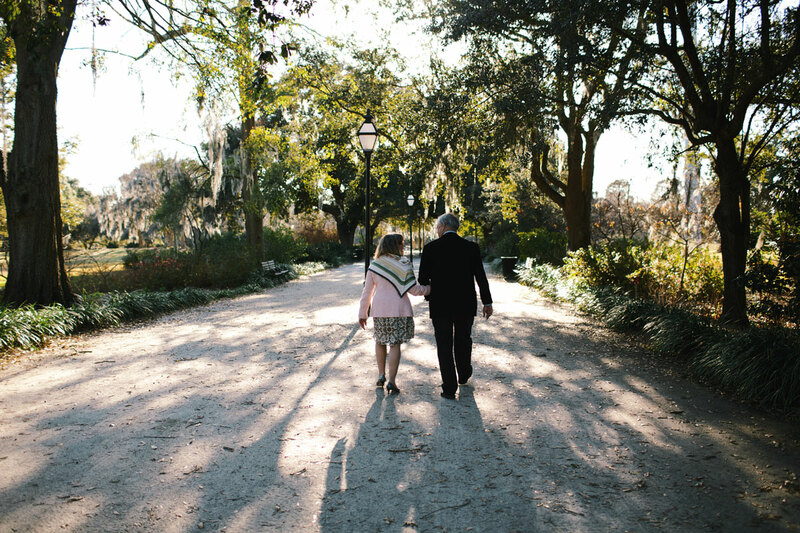 When deciding where they might escape snowy winters, Charleston was a natural choice—the couple had grown to love the area via vacations at Isle of Palms. “We started coming the summer after Hugo when there were no tops on the palm trees, and the family has come every other summer since—40 Messners in three houses,” Jenny says. “It’s great to be able to come back to the South and not be in Atlanta,” says Michael. And they’ve wasted little time becoming involved in various local organizations and efforts aimed, in way one or another, at “making sure Charleston doesn’t become Atlanta,” he adds, referring to a sprawl-induced, car-centric, congested mess. The key to doing this, the Messners believe, is to enhance the vitality of more dense urban neighborhoods through strategic investment in parks and schools and in making it safer and easier for pedestrians and bicyclists to get around. 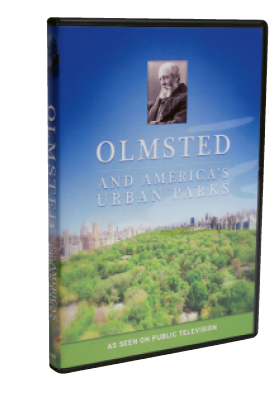 And this is where the Messners echo Olmsted, whose philosophy and parks they not only admire but know quite well, given that Michael was executive producer of the previously mentioned 2011 Olmsted documentary, which aired on PBS and has been screened across the country. So how does a hedge-fund manager become a park guru? “I believe the 2008-’09 financial crisis was caused in part by excess real-estate development,” Michael says. When the bottom fell out, thousands of commercial and residential properties across the country went into foreclosure, leaving neglected properties, dubbed “Red Fields” (see sidebar), that need to be rescued. As Olmsted’s projects demonstrated time and again, turning these blighted parcels into parks, bikeways, or pedestrian malls attracts economic development and revitalizes communities. Fast forward from Olmsted’s heyday in the late 19th century, when he created some 500 iconic designs across a rapidly growing country, to Charleston in 2016, when there’s both a hotel/restaurant boom and tent-city boom; when development pressures threaten affordable housing and green space; and when the disconnect between haves and have-nots, between good schools and failing ones, between upper and lower peninsula seem as poignant as ever. It’s the perfect time to invest in parks, Michael and Jenny agree, as do numerous other civic leaders, including former mayor Joe Riley; former mayoral contender Ginny Deerin; Harry Lesesne of the Charleston Parks Conservancy (CPC); Tom O’Rourke of Charleston County Park and Recreation Commission (CCPRC); and Tom Bradford, board chair for Friends of the Lowcountry Low Line and Charleston Moves. “One thing the Olmsted research taught me was the power of connecting parks to each other—his Emerald Necklace in Boston is a great example. Linking parks is a great way to build a city,” says Michael. 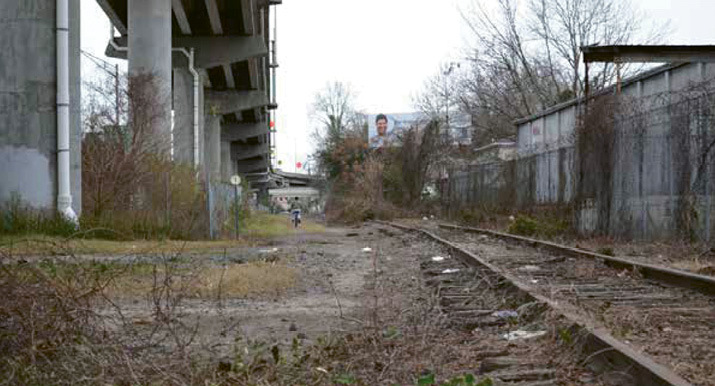 And the old Norfolk Southern railroad tracks, now a vacant eyesore through Charleston’s midtown? 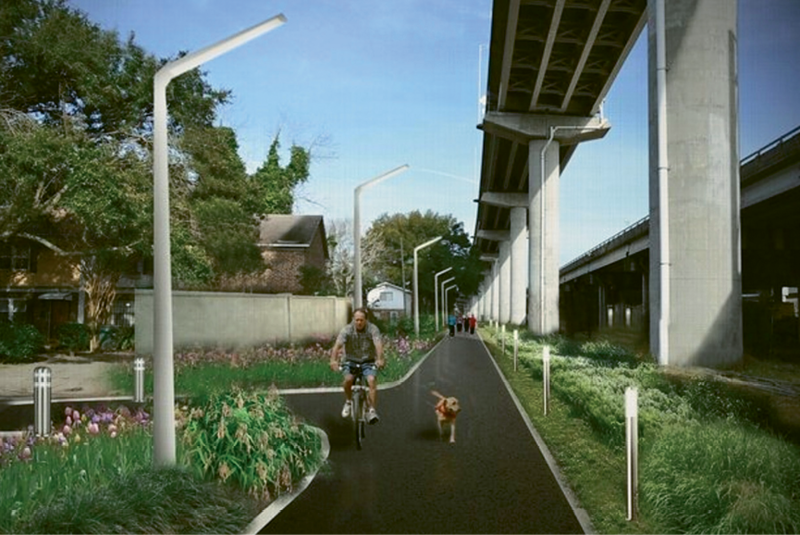 “It’s such a unique opportunity; it’s land just raising its hand saying ‘I want to be a park,’” he adds, envisioning how what he dubs the “Low Line” could connect to the Ravenel Bridge bike path, and northward toward Park Circle (another Olmsted firm design) and to nearby under-the-radar, undeveloped landfill called Laurel Island, “a gem of an island—it feels so remote, like you could be on Dewees” at the foot of Romney Street. “Imagine a bike trail around Laurel Island, that then links to the Low Line,” Michael muses, his wheels always turning. 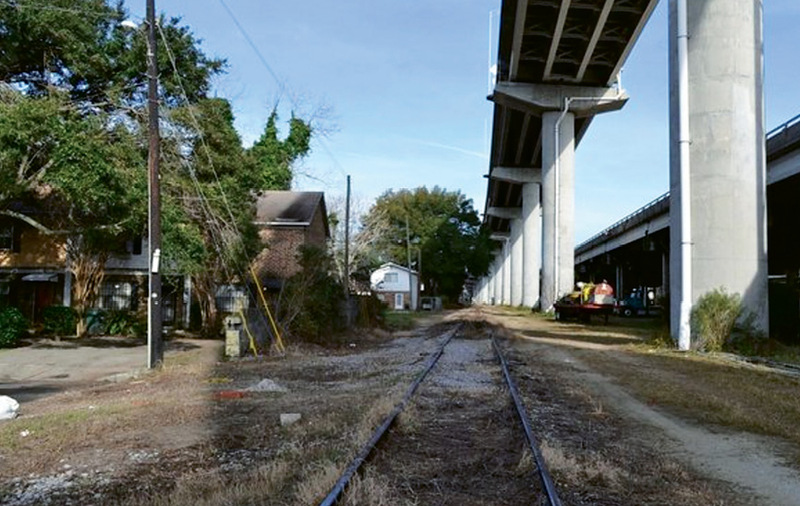 “What’s so exciting about the Low Line is that we have virtually a blank slate to create a new park, almost two miles long, that has a real opportunity to link the upper and lower peninsula and repair some of the damage done when I-26 tore through neighborhoods,” says Deerin, who currently serves as interim director for Friends of the Lowcountry Low Line, the nonprofit Michael formed in 2013 to negotiate the purchase of the railroad line beneath I-26 and transform it into a linear park. 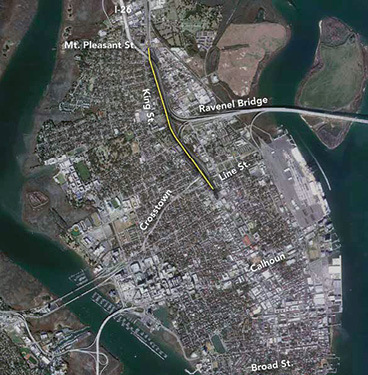 Think of it as Charleston’s version of New York City’s transformative High Line, an old elevated freight railway-turned-“public park in the sky” that has become a popular tourist destination, spurred economic growth, and skyrocketed property values in adjacent neighborhoods. 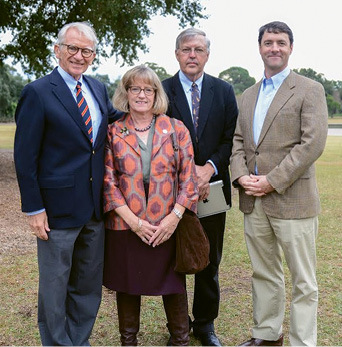 In addition to their investment of time, energy, and resources into the Low Line, the Messners have worked with the City of Charleston, CCPRC, and CPC to enhance existing facilities and increase park holdings over the last four years, including facilitating the acquisition of Limehouse Point and the Baker Hospital properties. And, notes CPC executive director Harry Lesesne, “They have a particular passion for Hampton Park with its Olmsted ties.” Lesesne, who also serves on the board of Friends of the Lowcountry Low Line, credits Michael and Jenny for launching the effort to transform the vacant café, stables, and superintendent’s cottage into amenities that will help increase utilization of the park. Beyond green space, the Messners believe that vibrant communities need quality, integrated schools, and again, they’ve put their money where their passion is. The Speedwell Foundation has funded two Charleston County charter schools, both on the peninsula, to give more options for all residents to send their children to high-performing nearby schools. 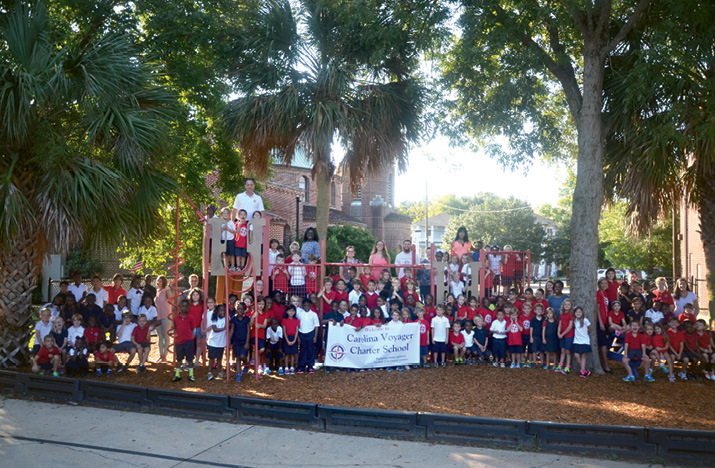 Carolina Voyager, a kindergarten-through-third grade startup temporarily housed at the Greek Orthodox Church on Race Street, with one grade to be added each year, offers personalized lesson plans and a collaborative approach, with small-group stations and a dynamic classroom environment. Allegro, currently housed on Broad Street, uses music to anchor a variety of learning experiences for middle grades (sixth through ninth), but unlike the School of the Arts, there is no audition, no barrier to enrollment. The focus is less on music proficiency than on using music as a tool for learning across all academic disciplines. When the economy nose-dived in 2008 to ’09, the value of commercial real estate nationwide tanked to the tune of $3 trillion, leaving cities pocked by “Red Fields,” i.e. distressed properties in the red. Where many saw blight, Michael Messner saw opportunity: “What would Olmsted suggest to help stimulate the economy, make the country better for future Americans, and help solve the problem of 19 million vacant houses and excess retail space? 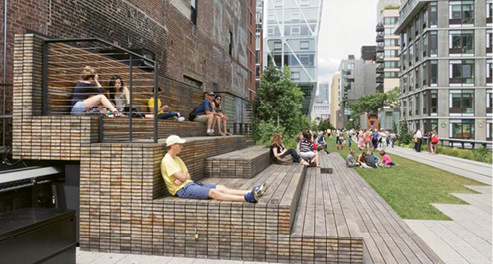 I think he would recommend an Urban/Suburban Park Initiative,” wrote Messner in a blog post. Hope and prosperity would bloom from economic decay via public parks and revitalized green spaces, and Speedwell Foundation funded an ambitious Red Fields to Green Fields (R2G) initiative to prove it. 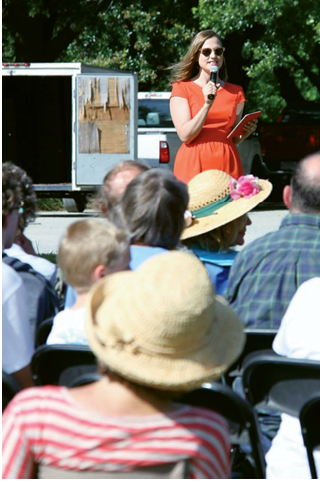 “Red Fields to Green Fields aims to do more than make esoteric changes to our landscape. It is meant to significantly improve our health, promote sustained economic development, and turn non-productive assets into well-managed green space for our neighborhoods and cities,” the project website explains. Partnering with the Georgia Institute of Technology, R2G studied 11 U.S. cities to survey red fields, calculate cost/benefit of green development, and suggest best modes of transforming distressed assets into green space. To date, Atlanta, Cleveland, Denver, Miami-Dade, Philadelphia, and Wilmington, Delaware (Phase 1), as well as Detroit, Hilton Head/Savannah, Houston, Los Angeles, and Phoenix (Phase 2), have been studied, with results presented to legislators and National Park Service officials at the U.S. Capitol. For the five Phase 2 cities, R2G plans would create as many as 20,000 acres of new parkland and an estimated 300,000 new jobs. For detailed case studies on all the R2G cities, videos, and more, visit www.rftgf.org/joomla/.